India’s experiments with new media art started early, but they took root late. Our masters of modernism experimented with the moving image to critical acclaim before the proliferation of discourses on the genre: M. F. Husain’s Through the Eyes of a Painter (1967) was awarded at the Berlin Film Festival that year, Tyeb Mehta’s Koodal (1970) received awards within the country and Akbar Padamsee’s Syzygy (1969) was screened internationally. 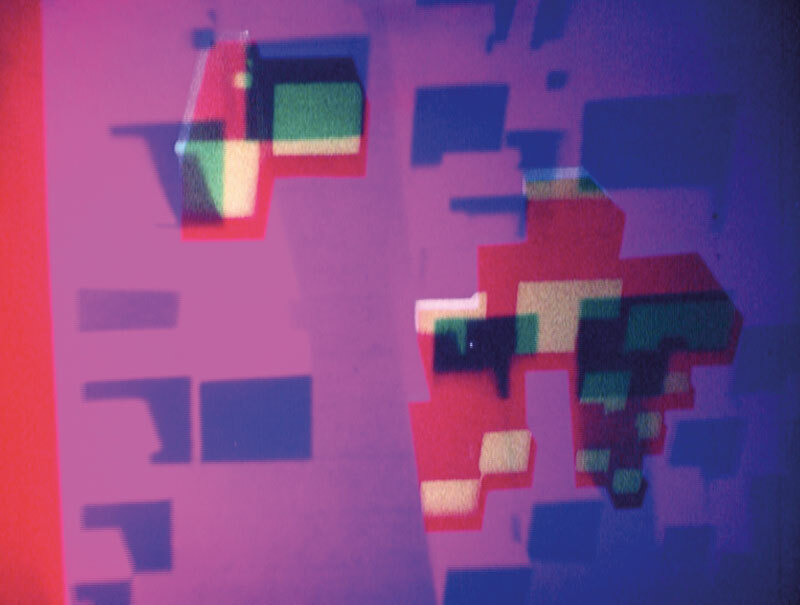 Besides this, Krishen Khanna carried out novel experiments where he projected slides on furniture and other surfaces, testing the ontological claims of the photographic image, and a young Nalini Malani made Dream Houses, a stop-motion animation film, in 1969. Padamsee’s Syzygy was perhaps the most forward-looking of all of them, having been created at the Vision Exchange Workshop that he set up with other artists like Malani and Gieve Patel and film-makers such as Mani Kaul and Kumar Shahani. His interest in developing institutional support and a community for new media art foreshadowed the state of such practices currently, and signified his conviction that these experiments were here to stay. Yet, in a country where television did not become ubiquitous until the late 1980s, the desire to be at the cutting edge was not easily matched by prolific art production. Since the 1990s, and with some additional momentum in the 2000s, art in India has steadily but slowly incorporated technology in various ways. Shilpa Gupta’s experiments with time-based media in the video work You are eating a part of yourself (1996) was an early instance of the art world’s engagement with technology alongside early forays into installation by Vivan Sundaram, with exhibitions including Collaboration/Combines (1992) and the site-specific work Structures of Memory: Modern Bengal (1998). Personally, this period in Indian art has been especially significant, as it set the stage for my entry into the art world, triggering an enduring interest in experimental art in my own work. In 2004, Nancy Adajania introduced the idea of new ‘context’ media. In Sarai Reader 04: Crisis/Media, it appeared in the wake of the relatively delayed arrival of technology-based art in the region. This implied that new media was only for some people, not all. Within the nation, urban contexts warmed up to technology far more easily than the rest of the country for obvious reasons. But art’s use of media and technology has remained sensitive to this divide. A work that has always stayed with me has been Shilpa Gupta’s Singing Cloud (2008-’09) which descended into the Indian art scene just a few years after Adajania’s essay was first published. The installation consisted of 4,000 microphones singing and groaning out loud, instead of listening for sounds as microphones usually do, indicating a plurality of voices contained within the nation, speaking from both privileged centres and less-privileged margins. Gupta’s practice highlights shifts beyond video-based work to initiate a visceral, interactive response from the audience. Navjot Altaf, Malani, Sundaram and later on Tushar Joag and Kausik Mukhopadhyay were a few other artists who carved out inclusive spaces through interesting use of media and space, with activist undertones and overtones in their art. The strength of these artists’ multichannel videos and installations reside in their ability to draw viewers into the artwork, enveloping them and making them a part of it. Their capacity for immersion while touching upon political and social issues, and remaining open-ended conceptually, leaves the viewer to discover their own interpretations. We understand the world around us through newspaper reports, cell phone images, social media and websites — these being portals that we look to for everything from the weather to political events and our social life. I remember the terrorist attack of 26/11 in Mumbai, which was first reported on Twitter before it was captured on hard news. That moment heralded the beginning of a new reality in India, beyond the dominance that cable TV and news media already had. Artworks are able to speak to our sensibilities intimately by picking up on these visual and cultural cues that dominate our vocabulary, speaking the same mechanical/digital language that is spoken to us everyday. In her four-channel video installation, with 12 monitors in tin trunks, Malani’s Remembering Toba Tek Singh (1998) places us within the chapters from the Partition of India and forgotten stories of displacement and migration by evoking Toba Tek Singh, Saadat Hasan Manto’s iconic short story. In this work, video footage played on screens hooked to tin trunks speak of displacement during the tragedy of the Partition. The difficulty for technology-based art to be easily commodified as opposed to a painting allows it to further transcend its own notions of privilege and power. 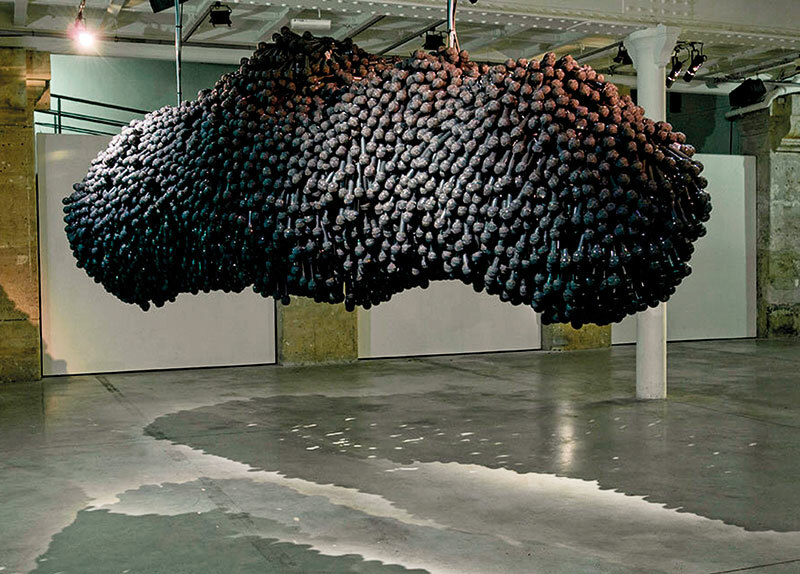 Globally, museum and biennale projects have allowed artists to experiment with large-scale media-based installations. Most recently Rashid Rana brought Lahore closer to Venice in his commissioned project Transpositions for the Venice Biennale collateral event My East is Your West as an exemplary show of the possibilities of technology. Similarly, Indian artists have frequently produced artworks that have exceeded the precedent set by their oeuvre. It took an international, large-scale non-profit exhibition, the Kochi-Muziris Biennale to successfully bring technology-based, cutting-edge art from around the world to our shores. This is an indicator of how institutional support goes a long way in realising latent possibilities in an artist’s practice. Indian works were absent from the global wave of conceptual art in the 1960s and 1970s. Yet we have recently witnessed a turn that could lead to an age where India is one of the spearheads in the digital revolution. A younger generation of artists has been pushing the limits in new media by exploring post-conceptual art through the possibilities that technology presents. The Bengaluru-based artist duo Pors & Rao have been consistently challenging our perception, and the laws of nature with their installations. 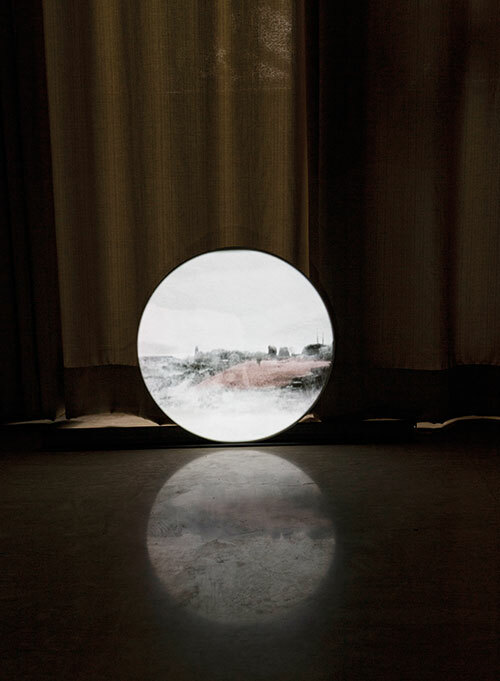 Straightforward use of technology unleashes phenomenological questions in works such as Sun Shadow (2009-’11) which playfully casts a shadow of the sun, an unlikely phenomenon since all shadows are cast by the sun, the ultimate source of light! In his exploration of dreams and memory, Kartik Sood has been experimenting with the inadequacies of the photographic image through his works that intertwine digital and analogue, print and paint, tangible and intangible. In a post-medium condition — where material has cultural and historical meaning — boundaries have collapsed for these artists who employ video, audio, body, optics and tactility interchangeably in order to capture the stories and histories of their time. 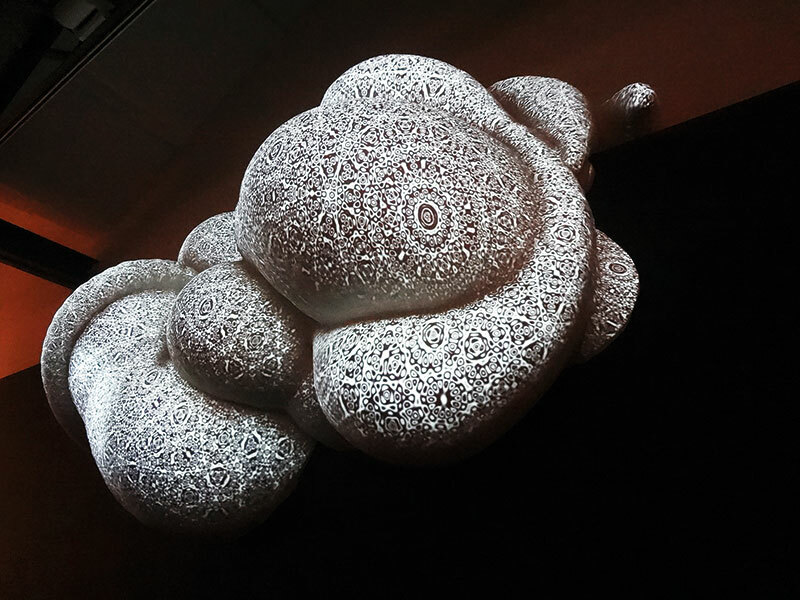 Vishal K. Dar’s light sculptures, Himali Singh Soin’s experiments with time and geography, Abhishek Hazra’s preoccupations with institutional critique — most recently witnessed in his work Submergent Topologies at the Kochi-Muziris Biennale 2016 — have all been such meditations upon the reality that we currently occupy, mediated by a breakdown of medium consciousness. The practice of Raqs Media Collective, which blurs boundaries between academics, curation, art and activism, is a quintessential descriptor of the direction in which we are heading. A prominent trope that brings all these artists together is their desire to capture diverse experiences of history, rather than just react to historical narratives. Here too, the viewer is invited to occupy plural world views that abstain from ideological closure. Several of their works are also self-referential — questioning art, perception and medium — and are able to situate the artist’s vantage point within lived realities, alongside the viewer and not outside it. Interactive media and technology has a definite role to play in their politics of ‘seeing’. Residency circuits, easy access to travel, and international exhibitions such as art fairs and biennales have made global citizens of these artists who are informed by their local contexts, but respond to universal concerns. Their approach to media allows them a global language to articulate intimate perceptions. With rapid changes in the art world over the last two decades, in a market that is steadily recovering from the crash of the previous decade, geopolitics, philanthropy and curatorial directions have encouraged such art making in interesting, divergent ways. Following the collapse of the art historical cannon in the Western model, it is the plurality of avant-gardes in the Indian context that defines contemporary art for the region. And this plurality, expressed through the diversity of languages that these artists speak, is facilitated by a range of media and material evolved to support it.